Temporary structures are always a go-to-option in any event planner’s toolkit. Can’t find a venue to meet your needs? Create one! 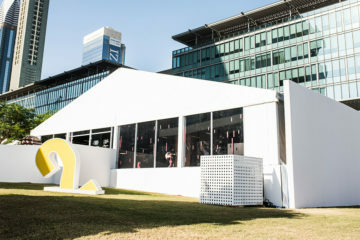 All temporary structures deliver solutions to creating and structuring space, meeting the needs of the event (dining, meeting, networking, showcasing) and most importantly, beating the weather. Different types of structure suit different events. While all have their advantages, none are as flexible as the Cube. If you are looking for cost-effective event and exhibition solutions that do not compromise on your creativity, and that deliver maximum flexibility, and unlimited options for customization, read on. 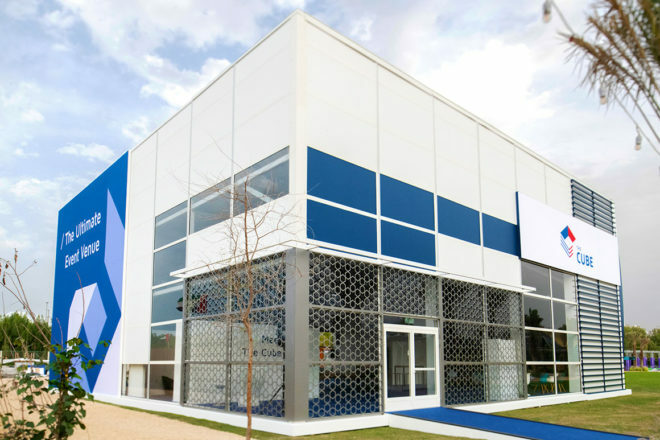 After a significant process of research, strategic thinking, and planning, we reached The Cube, a truly innovative modern temporary structure. The Cube represents a real evolution beyond traditional tent rentals because of its flat roof, fresh clean-cut design, and extended customization options. It is suitable for formal and casual events, private and corporate affairs. Available in 4 widths, it can house small to large gatherings. How large? The largest you can imagine thanks to the adjustable length in increment of 5 meters. Best of all, it is competitively priced. The Cube consists of interchangeable horizontal panels that fit together quickly and easily, making construction and modification super easy. There are multiple options for window design and window treatments, including Mashrabiya like screens, clear and tinted windows, black out and much more. 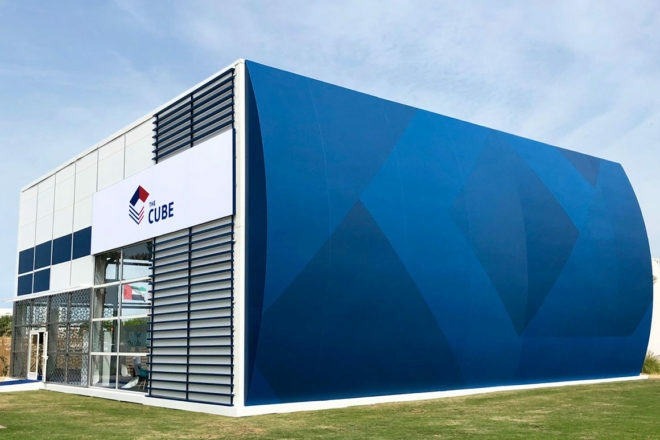 If you are looking for a more substantial appearance, the agile construction system of The Cube allows the structure to be covered by a second skin creating straight walls, giving it the appearance of a permanent building. The cover can be fully branded to complement specific events or customized to suit a colour pattern or theme. The creative possibilities can be enhanced through selecting matching furniture, lighting, and decorative elements. Remove the roof to create an al fresco entrance or stunning atrium for guests to enjoy natural light, without being exposed to the heat of the day or conceal generators, air handlers or chillers within the smallest Cube structure for a streamlined look and feel. The Cube is extremely practical for even the hottest months of the year because it has an inflatable, pressurized roof providing optimal installation. Guests and visitors will always enjoy a cool and temperate environment. The Cube can be adapted to any event and suits medium and large events particularly well. Both width and modular height are adjustable. Variable widths are available from 10m to 40m with modular length. 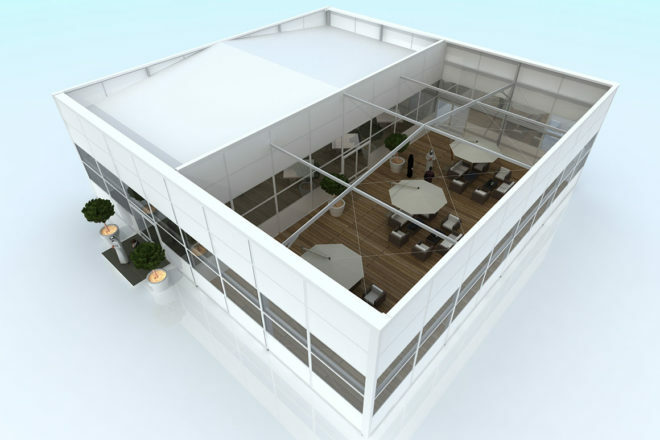 The ceiling can be extended from 5m to 9m at the highest point to house a temperature-controlled skate park, a sports competition or a trade show easily. The Cube structure is solid, stable and secure with a huge load capacity – up to 1800Kg per frame. As with all our temporary structures, the highest European standards of quality and safety are applied, including the use of flame-retardant materials throughout and attention is paid to ensuring safe entry and exit. What ultimately distinguishes The Cube from other box structures available in the market, is that it is constructed top to bottom with fully interchangeable panels. In other flat line structures, the top is not customizable and needs to be constructed separately for each structure, which costs more and takes more time. Overall, The Cube is just more aesthetically appealing, because its exterior can be fully branded and the roof fits evenly on the top. 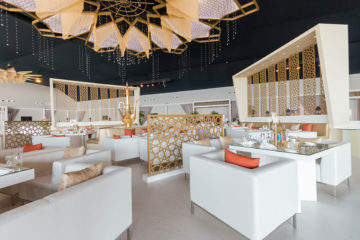 When you select any of our temporary structures you can depend on a hassle-free experience, leaving you to concentrate on all the other details that go into creating a memorable event. 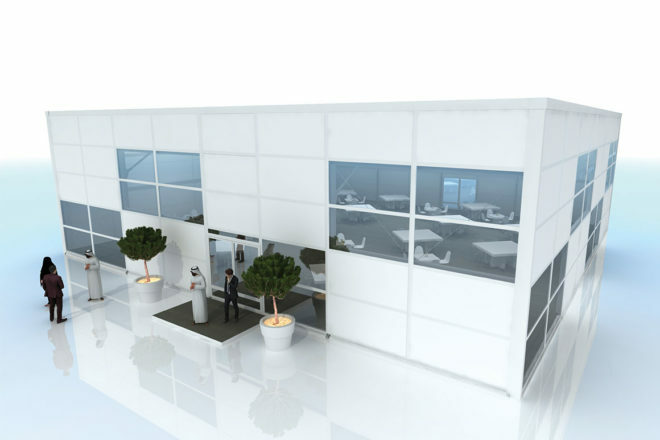 For us, temporary structures are not an alternative to other venues, an “instead of” option, rather they are a very practical and efficient choice that should be top of the list for anybody planning an event or exhibition. 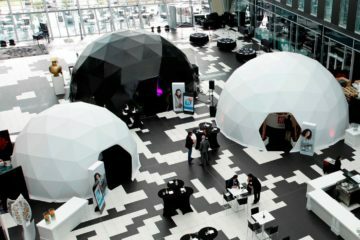 Temporary structures simply provide many more choices and customization features than existing permanent spaces like conference halls, ballrooms, and meeting rooms. Successful and memorable events all focus on creating immersive experiences. Use temporary structures to produce such special environments. We provide a wide range of temporary structures for events to meet all your needs – using European standards of quality, design, and set up. We are delighted to include The Cube as another option for temporary event rentals. The Cube allows you to push the boundaries of your creativity and turn literally any space into a canvas for your design vision. The Cube gives you total control over every aspect of your event – size, layout, branding, look and feel, and even temperature. Check out our team setting up “The Cube” at Downtown Design 2018 or look here for your temporary structure inspirations.